Social studies is the integrated study of the social sciences and humanities—history, geography, government, economics, politics, cultures, and religion, to name a few. Look here for websites providing resources to everything from prehistoric times and ancient history to modern history and current events. For retail curriculum products and non-free resources, see our social studies curriculum section. The United States Mint offers free lesson plans (for grades K-12) based on the new quarter designs. The lesson plans are displayed by the year they were released. The majority are general in nature and can apply to multiple national sites, maybe even one in your own state! Read and explore the History of the Ancient Greek World from the Neolithic to the Classical Period. This website covers important topics, such as Art and Architecture, Mythology, Wars, Culture and Society, Poetry, Olympics, History Periods, Philosophy, Playwrights, Kings and Rulers of Ancient Greece. At Archiving Early America you will be rewarded with a unique array of primary source material from 18th Century America. Scenes and portraits from original newspapers, magazines, maps and writings come to life just as they appeared to this country's forebears more than 250 years ago. ARKive is the ultimate multimedia guide to the world's endangered species. Includes over 100,000 photos and videos. Discover what endangered animals, plants and fungi look like, what makes them special, and why we should protect them. 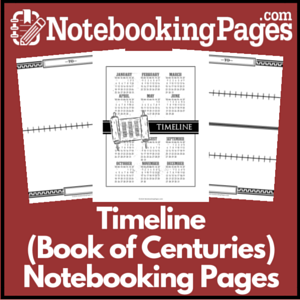 An excellent resource to learn about ancient history, British history, World Wars, historic figures, and more. Ben's Guide to U.S. Government for Kids, brought to by the U.S. Government Printing Office (GPO), provides learning tools for K-12 students, parents, and teachers. These resources will teach how our government works, the use of the primary source materials of GPO Access, and how one can use GPO Access to carry out their civic responsibilities. And, just as GPO Access provides locator services to U.S. Government sites, Ben's Guide provides a similar service to U.S. Government Web sites developed for kids. Learn about the Constitution, Bill of Rights, and more! Play games, watch videos, read the daily news, find helpful resources to write a paper, and more! Parents, look here for study guides with curriculum links, vocabulary, discussion questions, extended activities, and references. You can also visit their featured exhibits, watch videos, read their Bio of the Month, find links & resources, and more. Watch exclusive biography videos on the world's most famous people along with full episodes and clips of your favorite Bio Channel TV shows. Constitution 101: The Meaning and History of the U.S. Constitution is a free 10-week online course presented by Hillsdale College. Each lecture is pre-recorded and lasts approximately 40 minutes. Constitution 101 follows closely the one-semester course required of all Hillsdale College undergraduate students. Owned and managed by the Lewis and Clark Fort Mandan Foundation of Washburn, North Dakota, this site offers hundreds of interactive illustrations, color photos, and historic art, with in-depth text by today's leading Lewis and Clark scholars. Free classes on traditional American economics and politics. President Abraham Lincoln presided over four years of civil war. Learn about his remarkable presidency, his assassination and its dramatic aftermath. You will also find additional research and resources to help you continue your exploration of these events that shaped American history. Play games about our first president. Learn about George Washington, go on a treasure hunt, play music games, a cannon game, learn about artifacts, and more. Go Social Studies Go brings to you the most complete Social Studies teacher resources in cyber space. All for free. This website is our favorite by far! You'll find hundreds of stories, lesson plans, videos and weblinks. Coins are history in your pocket! Learn facts at the United States Mint. Find interactive adventures, games, puzzles, facts, and more. Includes free resources for educators. Explore American History documentaries, TV shows, movies and more. Choose a topic of historical interest, social studies subject, or unit study from the Subject List - great for supplementing your history lessons. Heritage History publishes classic juvenile history books and illustrations in a convenient electronic form, featuring biographies, legends, historical fiction, geography, military history, legends, adapted literature, bible and saint stories, folk tales. History.com offers a variety of games, puzzles, quizzes, interactives, downloads and more.